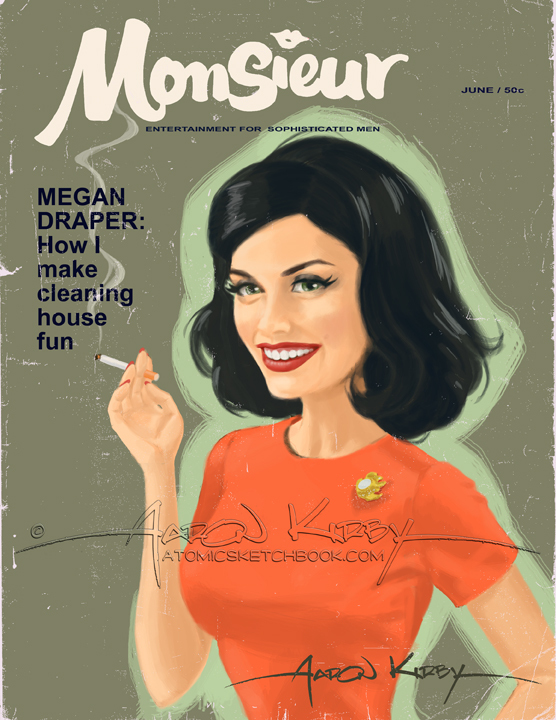 Another MadMen cover, this time the “new” Mrs. Draper (Jessica Paré). Jessica is a very beautiful and talented actress that can look both glamorous and cute at the same time with just a small change in expression. I wanted more of the cute look for this cover, I hope I did her justice. I did love doing this painting and I’m gonna miss seeing Megan…!